All-Ireland football qualifiers and All-Ireland Preliminary hurling quarter-finals are the most high profile of the matches that are covered under a proposed amendment to Rule 3.6 (a) that approves a system to determine a ‘winner on the day’ of games which finish level after extra-time has been played. In addition, provincial championship games that require a replay and subsequently end in a draw after extra-time and two additional periods of extra-time of five minutes will also go to penalties provided the motion gets the required 60pc majority to pass. There are also two motions on the clár governing the practice of training weekends. 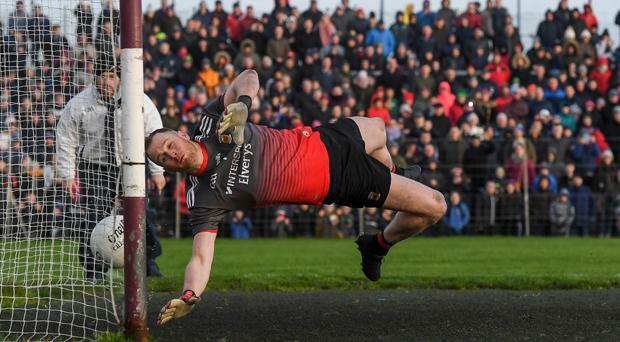 A total of 17 counties were investigated for a potential breach of the rule last year but only four; the Armagh and Laois footballers, Waterford and Wexford hurlers, were punished with the loss of home venue for their first League game of 2019. The Dublin footballers were among those investigated after their team trip to France in May but successfully argued that the purpose of the visit was team-building and no training had taken place. Under the proposed amendment, counties can request permission from Central Council to organise such camps.